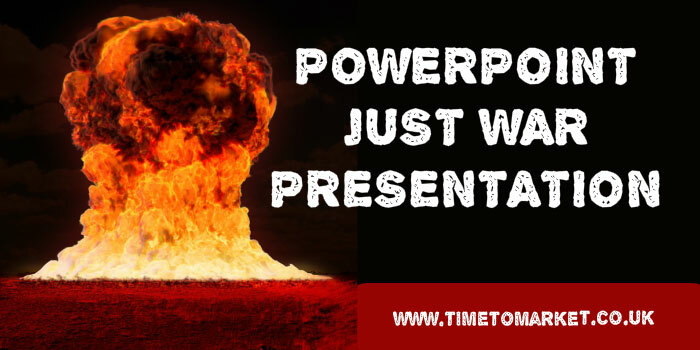 The United States Air Force has outlawed an infamous PowerPoint presentation deck. The deck, comprising 43 slides, is now no longer in use. But they haven’t chosen to ban this particular presentation because of its tediousness or irrelevance. No, it’s a PowerPoint Just War presentation. That’s why they’ve banned it. Roman Catholic and Protestant Chaplains at the Vandenberg Air Force base in California had used the PowerPoint presentation to help them teach a “Christian Just War theory” course to those Air Force officers responsible for the United States nuclear deterrent. I suspect these must be the pilots of bomber aircraft and the like. Twenty years after the course was first devised its time is up after officers at the base complained. Their complaint? Apparently the Christian fundamentalist PowerPoint Just War presentation was at odds with the traditional separation of Church and State in the United States. That seems fair enough. So, why did it take someone twenty years to notice? That’s anyone’s guess. So the 43 slides in this PowerPoint deck can now be filed in the archives. And the air-force chaplains will no longer subject the officers on the Base to the thoughts of St Augustine or references to Abraham. That all adds up. You can discover more ways to use PowerPoint in your presentations with PresentPerfectTM presentation training. When you want to boost your presenting skills you can either join a scheduled public course, or ask us to organise a one-to-one coaching session. So, please don’t hesitate to call us when you are ready to find out more.